Where Old World meets New World. 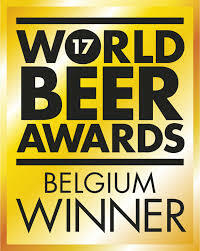 We’re a small Belgian brewery on the grounds of a four-generation-old family restaurant in Damme. We brew classic Belgian styles with a twist, as well as international styles not common in Belgium. We brew on a steam-heated three-kettle 5 HL brewhouse. We ferment and condition our beers in 8 high-quality temperature-controlled cylindrical conical tanks (5 x 5HL and 3 x 10HL). We bottle our beers from a 6-head Meheen filling machine and keg directly from our temperature controlled bright beer tanks (1 x 5HL and 1 x 10 HL). Our monthly maximum production capacity is 55 HL (16,000 bottles or 270 kegs). All of our beer has been brewed and packaged by us in this converted sheep shed in Damme. Breandán is a writer and brewer, having studied brewing at CVO Panta Rhei in Ghent. He has been recognised for his writing about beer by the British Guild of Beer Writers, the North American Guild of Beer Writers and Saveur Magazine. He writes for publications in Belgium and around the world including his blog, Belgian Smaak. A former lawyer from Ireland, Breandán is a Certified Cicerone®, an IBD accredited beer sommelier, a certified ‘algemene bierkenner’ and a BJCP judge at international competitions. 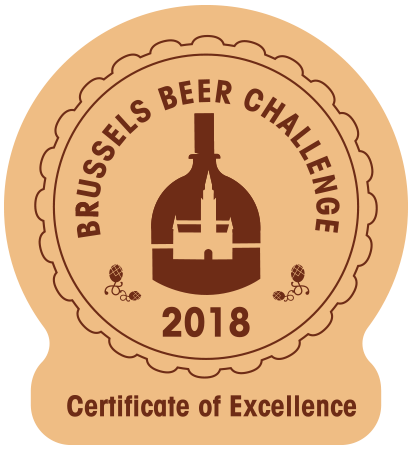 A qualified electrotechnical engineer, foodie, beer lover and home-brewer for more than 10 years, Franklin studied brewing in Ghent and holds a certificate as a Technician in Fermentation Processes. Growing up only a stones throw from the brewery as a Belgian just across the Dutch border in Sluis, Franklin has brewed collaboration beers with a number of commercial microbreweries in Belgium. Having worked previously in the hotel, restaurant and café sector as well as with another respected Belgian brewery, Mathias brings extensive experience in working with specialty beer bars, building relationships with distributors and growing sales in an organic and strategic manner. The fourth generation of his family to run the Siphon Restaurant, Jan studied at the famous culinary arts school, the Institut Paul Bocuse in France and gained experience in Michelin Star establishments such as Oud Sluis in the Netherlands and D.O.M. in Brazil. His great grandfather started the Siphon restaurant in 1902 and Jan continues the family tradition of serving quality local ingredients including specialties such as game and smoked eel. With his experience as a chef and cocktail mixer, he ensures that those who come to the Siphon have the opportunity to avail of the best beer and food experience possible. Jeff Bradford of Beer, Wine & Spirits came to visit the brewery during our second birthday party. For our 100th brew, we created a New England Saison with Brouwerij ‘t Verzet and Brouwerij Hof ten Dormaal. We worked with Or Coffee to brew a coffee saison, using beans from a Congolese washing station called Hutwe. Excuse Me While I Kiss Cassandra was an imperial espresso oyster stout of 12% ABV, brewed in collaboration with Hedonis Ambachtsbier and Or Coffee, showcasing Ethiopian Blida coffee.